Walked past London's Moschino store lately? If so, you may have noticed a most surprising visual presentation. There's a gorilla in the window, but not just any gorilla. This gorilla is a stylish individual and he seems to have taken a Moschino lady bride. 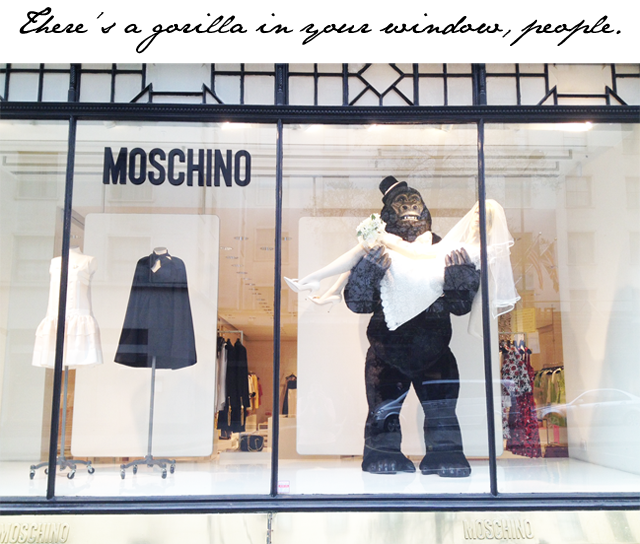 Dressed in a beautiful white lace Moschino dress, the mannequin looks quite comfortable in the arms of a giant hat wearing gorilla. 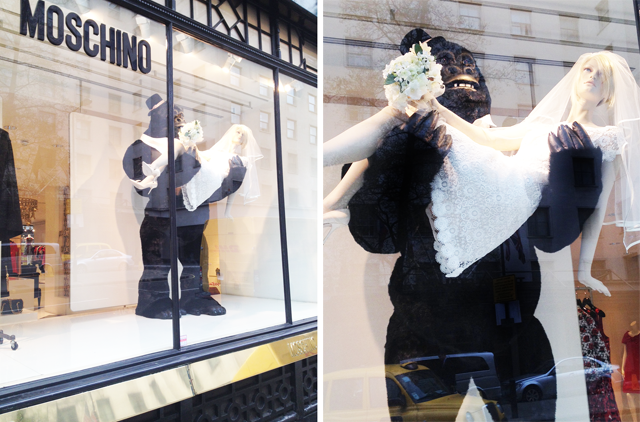 Over the years we've come to expect great things from the Moschino store windows and we're never disappointed, gorilla included. It certainly grabs your attention as you walk down the street, no?